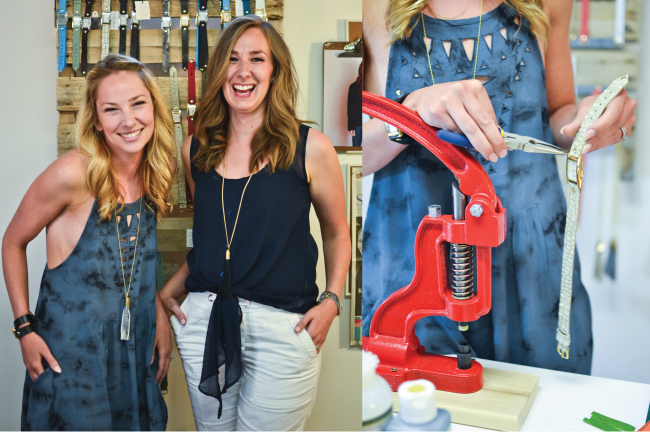 Meet Emily Fee and Jessie Atkins, the savvy, design-minded best friends behind Edmonton-based, eco-chic accessory line, Berg + Betts. With a shared passion for sustainability, community and creativity, the two brainstormed a timely new concept – handmade, cost-friendly watches from leather scraps otherwise destined for a landfill. In Jessie's basement, a tidy little studio hosts the two-woman assembly line. 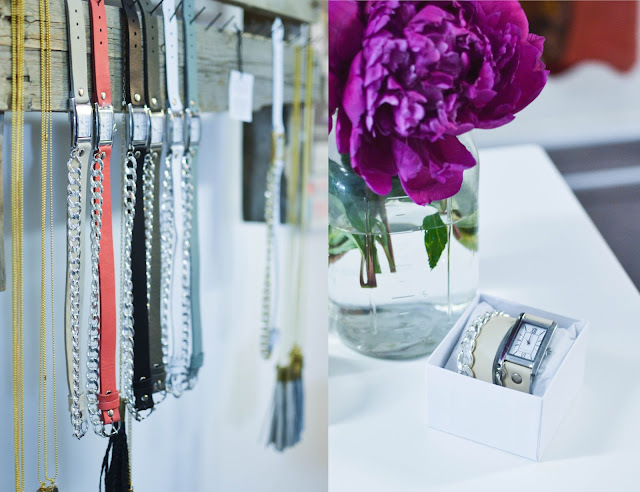 Here, they produce their handmade watch and necklace collections using leather scraps rescued from across Canada, sourced from designers such as Kimder Handbags and large leather suppliers. 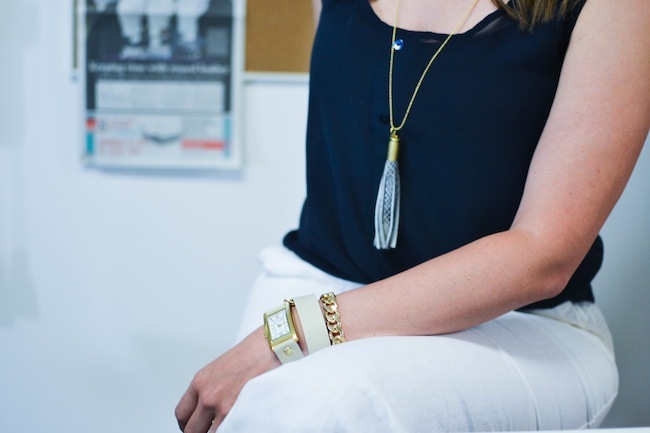 They've recently partnered with bespoke shoe brand Poppy Barley to up-cycle leather from its Leon factory in Mexico to produce a signature Tassle Necklace collection. 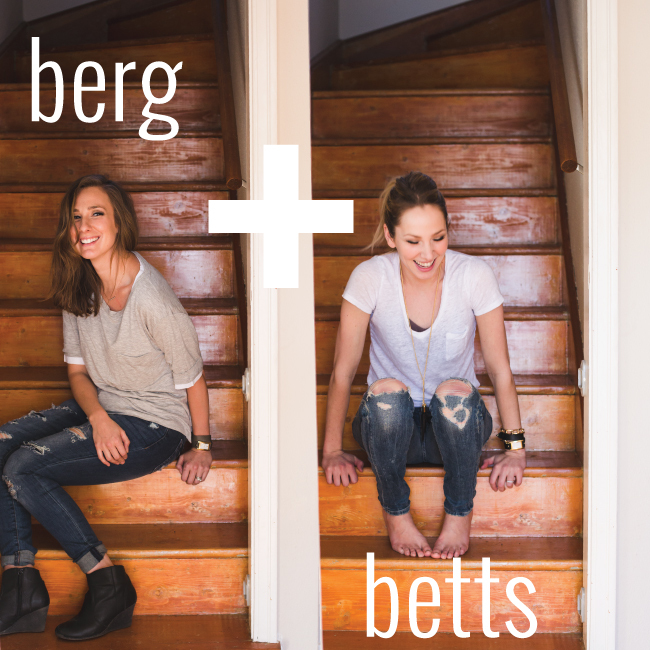 We dropped by the studio to get the full scoop on the startup's beginnings, sustainability philosophy and what the future holds for Berg + Betts. How was Berg + Betts born, what are your backgrounds? Emily: I’d hate to disappoint people, but literally we have no education in design. Jessie: Emily is a teacher and I have a background in nutrition. We started making watches for ourselves and for our friends’ birthday just as a fun DIY thing. What's it like being an entrepreneur in Edmonton? Emily: Amazing! The local support has been ridiculous. People seek out local and look for what Edmonton is producing. The response has been one of our biggest motivators to keep going. Jessie: We always talk about what would have happened if we had started this business in the heart of Toronto, or Vancouver, or even Calgary… there is something about Edmonton. The people responded and lifted us up. Your niche is obvious - recycled leather and a focus on sustainability. This was an evolution of your brand, can you discuss why this became important to you? Jessie: Honestly, I don’t know why we got started using scrap leather. You look at a hide of leather and you go to cut it into little strips and something just didn’t feel right about it. There is a lot of waste that goes into the landfill – tonnes and tonnes of leather. Rather than buying hides, we started cutting up scraps. Sustainable fashion is important to us because we all have an obligation to protect our environment. The fashion industry generates millions of tonnes of waste each year, and if we can rescue any of that waste material, then we'll have a positive impact on the environment. What does the future look like for Berg + Betts? Jessie: We have kind of been flying by the seat of our pants since we started. We find that as soon as we plan something hard and heavy, something of wicked opportunity comes up and takes us in a totally different direction. We don’t want to plan too far ahead. We want to just live in the moment. There is so much self-doubt when starting a business. We are hand-making a product and putting it out there, and asking the world, “do you like it?” We are always vulnerable. Emily: Having each other as business partners is great because we can build each other up when we are feeling insecure. We don’t know where it’s going to go, but we want to do more products. Jessie: We are thinking clutches. And possibly feature a men’s line in the coming season. Love the watches! Also love that more and more Canadian indie brands are popping up. The watches are so pretty and everyone is at an affordable price. I'll be keeping an eye on this line.